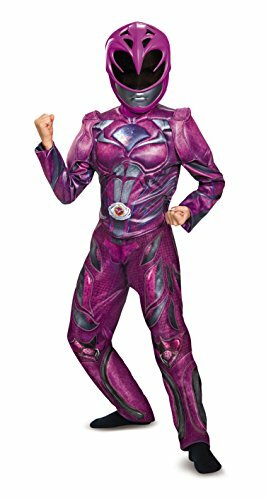 From the blockbuster power Ranger movie comes this very cool pink Ranger deluxe costume including a printed deluxe jumpsuit and 1/2 character mask. 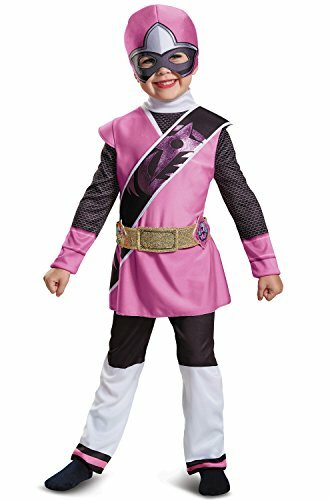 From the hit show power Rangers Ninja steel comes this very cool pink Ranger deluxe costume including a printed deluxe jumpsuit and soft headpiece. 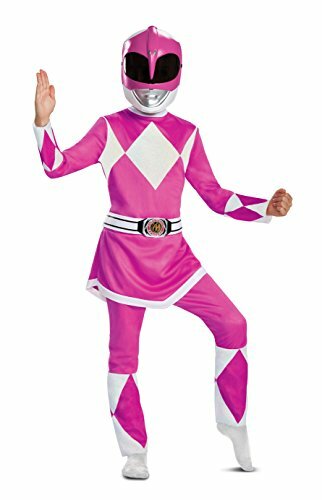 You will be saying "It's Morphine time" as soon as you put on this Pink Ranger costume! 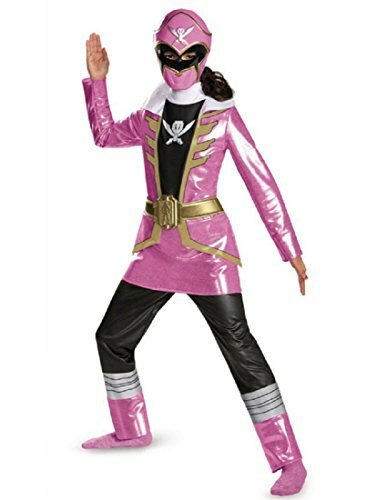 This costume features a jumpsuit with attached skirt and a half mask. 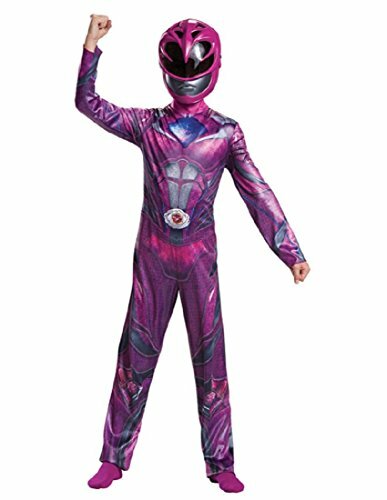 From the blockbuster power Ranger movie comes this very cool pink Ranger classic costume including a printed jumpsuit and 1/2 character mask. Power Rangers Super Megaforce is the 21st season of Power Rangers franchise. Super Megaforce is a Pirate-themed continuation of the Megaforce season. We get our first glimpse at the latest invaders and the 6th Ranger, Silver Ranger. To combat the greater threats, the Rangers receive special morphers that allow them to gain access to the powers, weapons, Zords and Megazords of all the different Ranger teams of the past 20 years. They can only unlock all of the powers by learning about the past Rangers and mastering their ways. This season is full of super-sized villains and powers that can only be handled by the Super Megaforce. 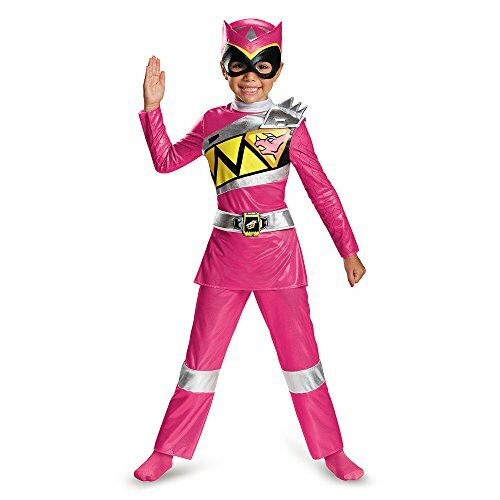 This Pink Ranger Deluxe Costume includes jumpsuit with muscle torso and arms, attached belt with detachable belt buckle and character mask. 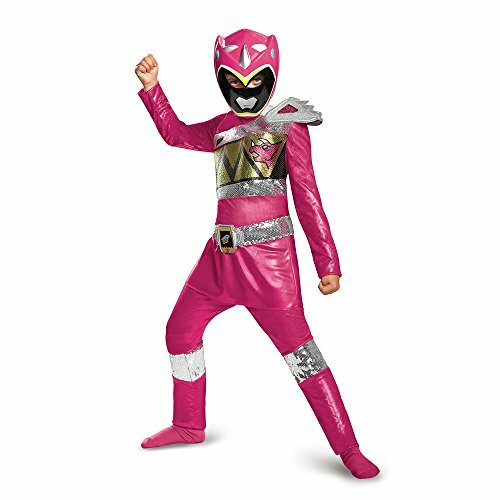 Product Includes: Jumpsuit, belt with detachable belt buckle, shoulder piece and character mask. Product Includes: Jumpsuit with attached belt with soft buckle, detachable shoulder piece and character headpiece. Size: Girls Medium (7-8) for ages 5-7 - 58-66 lbs approx 29" chest - 26" waist - 30.5" hips - 21-23" inseam - 49-53" height29\"